After almost 4 hours of complicated surgery, I've had 6 weeks of doing very little. And if at first I still had no patience for games, I soon found myself having small play sessions as part of my recovery plan. So my initial criteria for this recovery period was picking games that were appropriate for me to play, taking in consideration what I had been through. - No Kinect, PlayStation Move or Wii games that require moving. Moving was not an option, since everything seemed to pull on the abdominal muscles. - Guitar Hero and Rock Band made me too dizzy, so the guitar was put aside. Yes, I can play laying down, but couldn't keep up with the moving notes anymore. - Anything that required fast thinking and quick hand-eye coordination was too much. Certain camera views were nearly vomit-inducing. No FPS for sure. - Things I can play laying down and without moving much. Handheld games are perfect. - Things I can play and put down whenever I start feeling tired or sick. In other words, casual games and games that can be saved at any time. - Nothing that makes me laugh, because laughing really, REALLY hurts. The first game played (rather, TRIED to play) was actually Diablo III on Xbox 360, with my husband and a friend, a few hours after being released from the hospital. I thought I was ok for a game, so I picked up my shaman where I left off, and away we all went. As it turned out, this wasn't the best choice, since all the movement and colors were making me very disoriented, slightly nauseous and I couldn't concentrate. Most of the time I was attempting to control someone else's character instead of mine and would lose track of where I was on the screen. Durr... I lasted about an hour before having to put the controller down. I figured next time, something not as complex would be better, especially while I'm still trying to get rid of all the anesthetics and my brain is scrambled from painkillers. So I turned to my phone and my DS. I grow fond of my phone for gaming, actually. There's always something interest to check out on Google Play, and this time I downloaded Dragon Academy, Combat Monsters, and Marvel Puzzle Quest: Dark Reign. 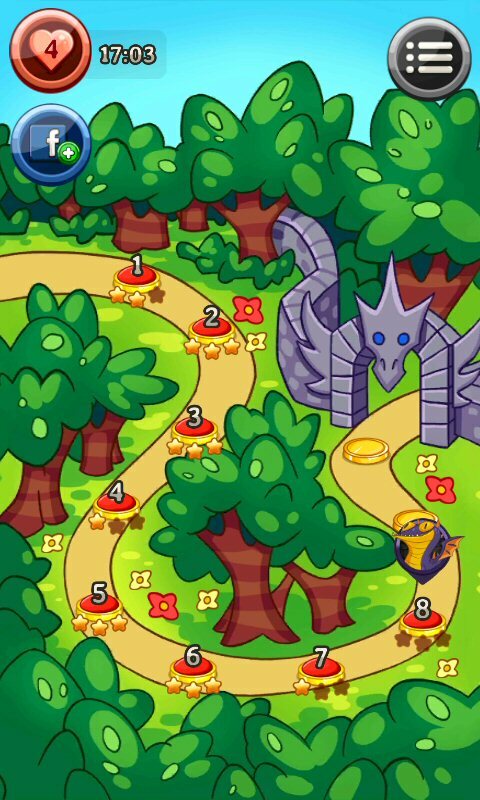 Dragon Academy is a match-3 puzzle much like Cradle of Rome, with a board game style progression. 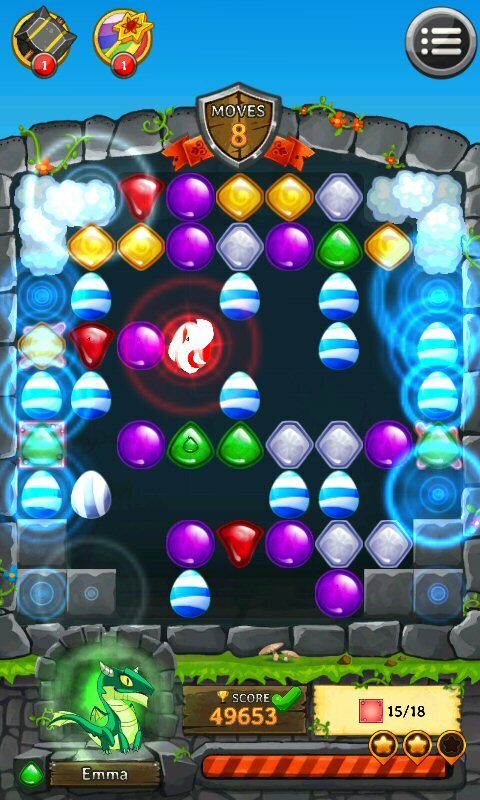 Each dragon has a special power that helps you to clear each stage, and the stages get progressively more complex in terms of less moves, timed events or clearing special squares. 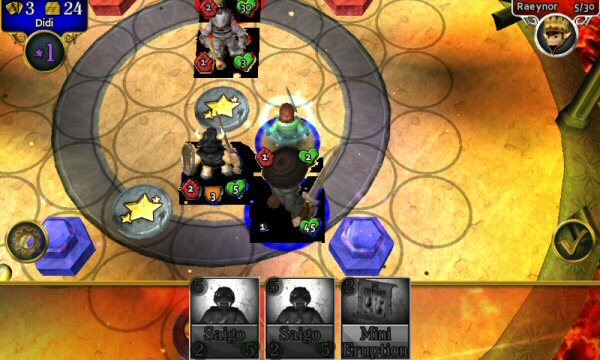 Combat Monsters is a strategy battle game where you place character cards to summon your party members and attack your opponents. 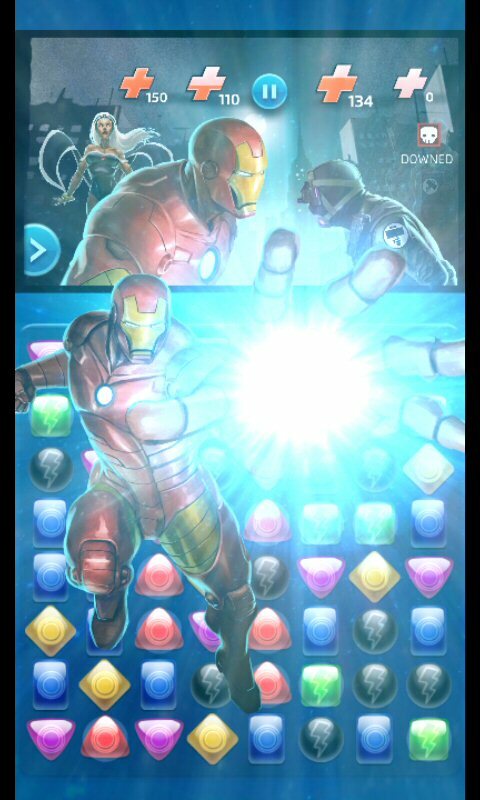 Marvel Puzzle Quest: Dark Reign is... well, Puzzle Quest! Except now you have Marvel characters as your party, villains to defeat and the familiar PQ depth in training and leveling up. These are all casual enough that I could play just a couple of matches and put the game down once my head started spinning. 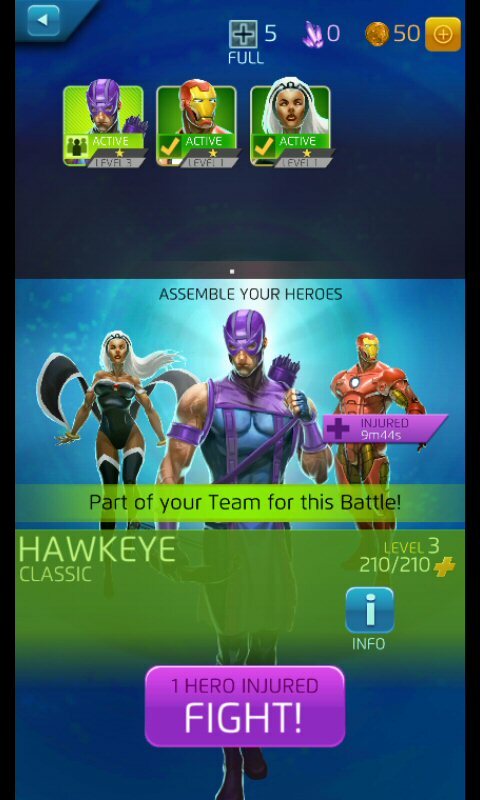 Once I got into Marvel Puzzle Quest during the last week though, I was playing until everyone in my party was incapacitated. I downloaded Combat Monsters on PC as well, so I can play on either system with the same account and progress a little bit here, a little bit there. 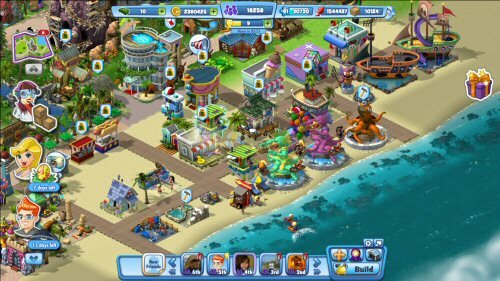 I also kept checking in on my theme park in CoasterVille and poking around Ghost Tales, both Facebook games (yes, I play some of those too). But PC games had limited time, since I couldn't really have the laptop resting on my abdomen while laying down, nor could I be sitting for too long due to pain and discomfort. 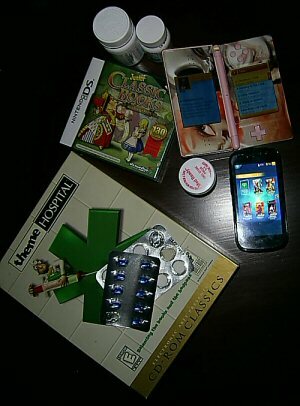 But even not comfortable, there was something that made my days better: Theme Hospital. 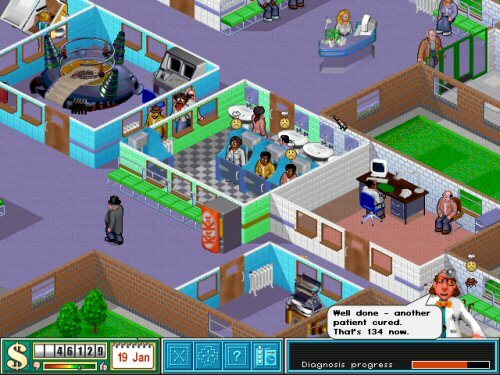 How appropriate, playing Theme Hospital while recovering! I got lucky with a crazy sale on GOG.com and bought it for $2.50. I still own the game in its original box - remember when PC games used to come in those big cardboard boxes? - but had problems getting it to run properly on newer operating systems. I was so happy to hear those silly announcements again (�Patients are asked not to vomit too much!�), listen to the upbeat music, and yes, even clean up piles of vomit from the hallways. 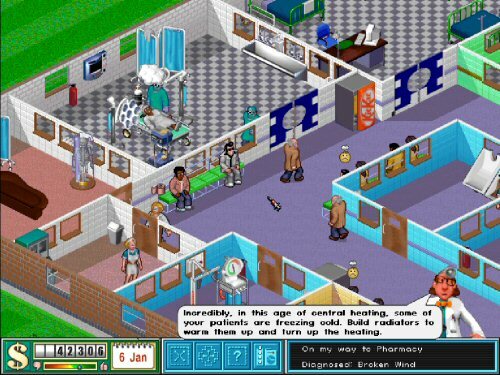 Theme Hospital just doesn't get old to me and it's still a lot of fun. Obviously, the stages take quite a while to complete, so it's not as casual as something I play on my phone or on a handheld, but I can still speed up time and save my game whenever, so it worked for me. And I always get a laugh out of certain things the receptionist will randomly say, and the straining and fart noises coming from the washrooms. As for the DS, I actually cuddled up several times with Junior Classic Books & Fairy Tales at night when I couldn't sleep from pain and discomfort. I re-read books I've read a long time ago, and some I had never read before: Rumplestiltskin, Little Women, Alice in Wonderland, A Little Princess. 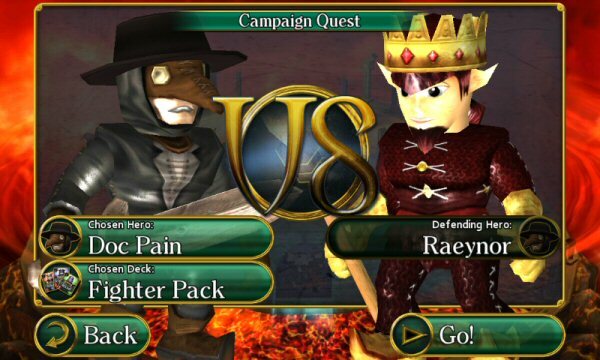 This piece of software turns the Nintendo DS into an e-book reader, and is loaded with 130 stories, including plenty of Brothers Grimm and Hans Christian Andersen fables, lots of stories about the world of Oz, and classics like Bram Stoker's Dracula, Around the World in 80 Days or Journey to the Center of the Earth. Since you can add a bookmark anywhere, it's easy to pick up where you left off. Other than that, I had quite a bit of fun watching my husband play through Dead Island: Riptide, even if the camera kept making me all kinds of dizzy and nauseous. After my follow-up on Monday, I was classified as a slow healer. My stitches are still not dissolved, and I am allowed only very limited physical activity and light lifting (so far, our smallest cat is the most I can pick up), so I still have a month to go on my recovery period. But I'm finally feeling up to playing more games. And the good news is I will also be home to receive my Xbox One with open arms on launch day, and may a actually be able to pick it up and hold it. So remember, even when recovering from surgery, games can help you heal. They helped me forget about pain and made time go by faster. Just be sure to pick things appropriate to your situation and enjoy the ride to recovery. Here's to better and healthier gaming days to come!